I received a call from a colleague in the USA. It was work related but it was nice to get a call from her because she is a nice woman, I consider her a ‘distant friend’. 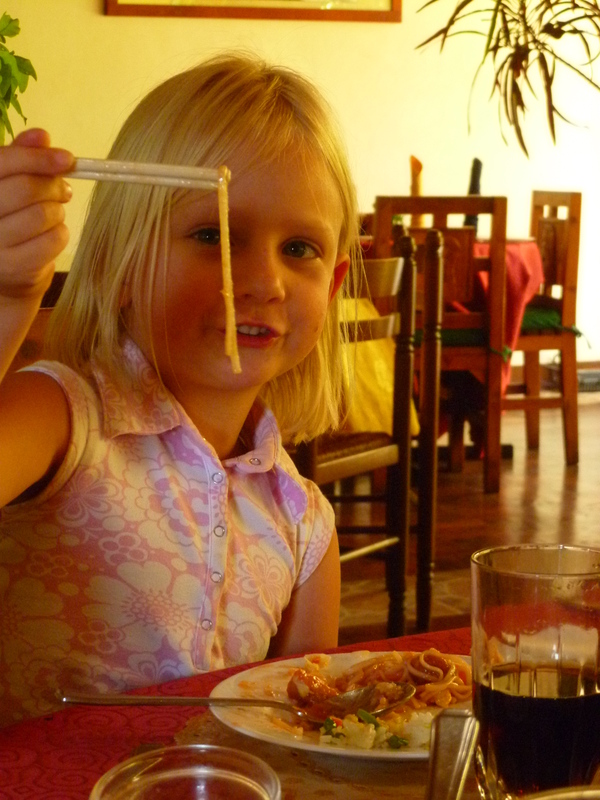 She is all excited about going to China soon but – so she said – she can’t eat with chopsticks. That’s funny. I am sure she will be given a fork everywhere anyway. I did my internship in China, and in the more local places they do judge you by the choice to (not) use chopsticks – and whether you actually can or not. I remember an entire restaurant looking at me, waiting for me to pick them up. And I remember the sigh of relief when I did and just started eating. I also remember being in a touristy coastal place and all the Russians were given a fork. 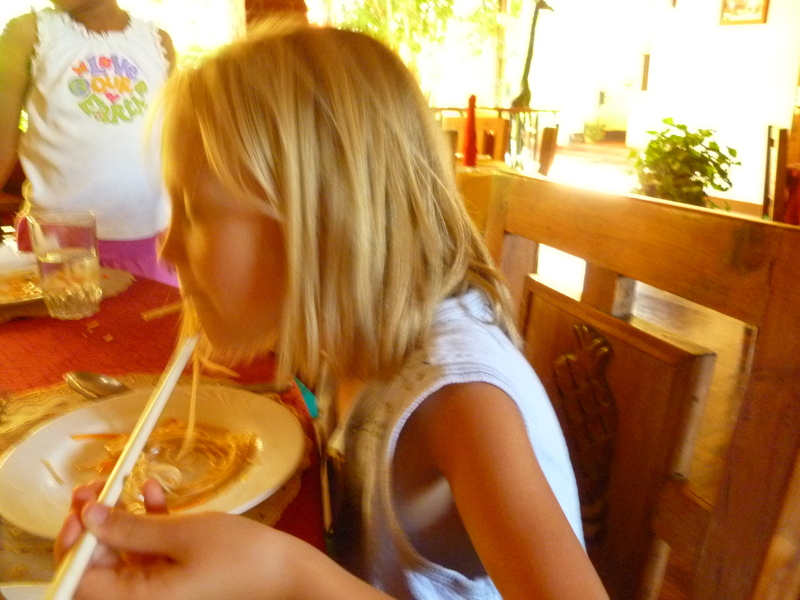 My kids have chopsticks, with hearts and flowers. They love them. 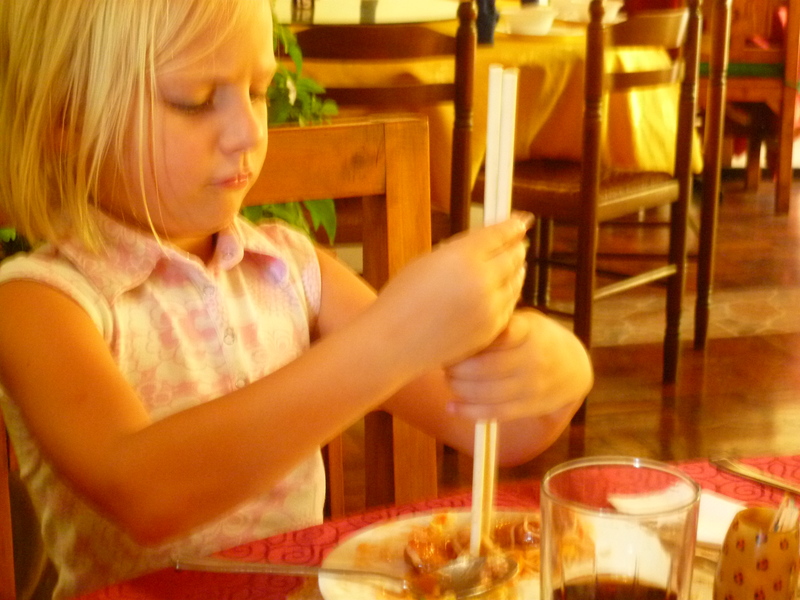 And when it is really hard to pick up a piece of sweet and sour chicken, they just skewer it. A Chinese friend of mine even cooks with chopsticks.. amazing, such patience. But every time she does that, I think of Jerry Seinfeld who once in a stand up act said “but they have seen the fork, right?”. This entry was posted in English, Project 365 on July 18, 2013 by Sofie Ponsaerts.